Ohhh, Field of view-ew. Ohhh, Field of view-ew-ew-ew. Like wearable tech, like smart home, VR seems to have stepped up a few gears in the past month or so with a whole bunch of headsets and downloads on the horizon. This week we got a lot of pics of what looks like an upcoming Samsung Mixed Reality headset - Microsoft's event is next week so not long to wait for official confirmation. As you'll read below, location based VR is another big trend and earlier this week, our US reported Husain got to try out Nomadic VR experience, which he said is "hands down the best VR" he's tried. We also spent some time in Oculus to track down the best non-gaming apps and experiences for the Rift. And we got a look at the finalised GoPro Fusion 360 camera. As for AR, a quieter week but the latest IDC report predicts that it will eclipse VR - just not till 2021. Here's what we missed. 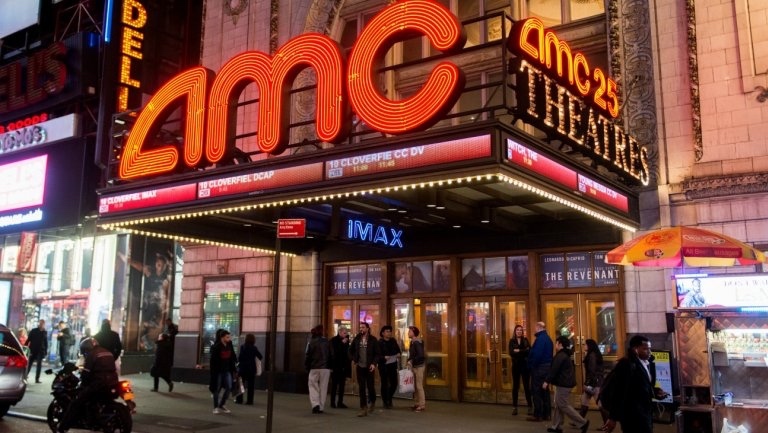 Cinema chain AMC Entertainment is getting into location based VR in the UK and America. Not only is it part of a $20 million investment round in VR startup Dreamscape Immersive but it's only signed a deal to bring its social, full body tracking VR experience to six cinemas and standalone venues over the next 18 months. And it's throwing in $10 million for content development. Dreamscape has already won the backing of no less than Warner Bros, 20th Century Fox, IMAX, MGM and that notorious VR flip-flopper Steven Spielberg so it looks like it has a bright future ahead. The inventor of Oculus Rift feels like now is the time to start talking about what he's doing next after a tumultuous 18 months or so - he left Facebook in March. Luckey said he's still working in the "virtual reality industry" and namechecked Sony and HTC when saying he doesn't want to be seen "as an Oculus person." This is good news for headset owners - if you've played or spent less than two hour using an app or game on the Oculus Rift or Samsung Gear VR, you can now get a refund. The policy gives Gear VR users three days and the Rifters a much more generous 14 days. It doesn't include movies, bundles or in-app purchases. SteamVR already has a similar policy - less than two hours play means you can get a refund within 14 days. And we actually respect this one. Alex Lackovic asked Australian immersive VR company Zero Latency to switch up a zombie game for a recreation of his now-fiancée Kelly Lynn Norman's home town in South Africa. Specifically they spent four weeks building an environment to show a tree outside her grandmother's house in VR and that's where Alex popped The Question. Kelly took the headset off for the actual proposal, though, so we're not sure it counts. The Boy and the Lemon AR and VR from Method on Vimeo. This is charming. James Hurman's children's bookThe Boy and the Lemon, with illustrations from Juliet Burton, has been given both the VR and the AR treatment by the M Theory studio in New Zealand. The AR version uses an iPad to track the pages in the physical book, the VR version is made up of 2D and 3D animation. MasterCard and Swarovski have teamed up to use YouVisit's software to create VR checkouts. In its new app, crystal fans can browse sparkly Atelier homewares in a virtual shop before using MasterCard's MasterPass to buy what they've selected. According to YouVisit, the next to try out its tech will be a "major footwear brand". Oculus has Rock Band VR but now Vive has an interactive music app of its own to try out. Jam Studio VR, out this week, lets you play the guitar, piano and drums in virtual reality with tracks from yes Miley Cyrus and Disney for the kids, but also jazz and heavy metal to choose from. Pick it up for $19.99 on Steam now. I Am Rohingya from Contrast VR on Vimeo. Al Jazeer's Contrast VR studio collaborated with Amnesty International on this 8 minute VR doc, which mixes Nokia OZO 360-degree footage with animation. Its subject is the ethnic cleansing crisis in Myanmar and shows a Rohingya Muslim woman, named Jamalida Begum, and her two children in a refugee camp. The animation is used cleverly to depict the persecution she is describing.